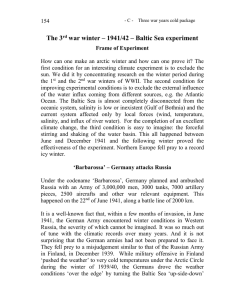 The occupation of the Baltic states refers to the military occupation of the three Baltic states—Estonia, Latvia and Lithuania—by the Soviet Union under the auspices of the Molotov–Ribbentrop Pact on 14 June 1940 followed by their incorporation into the USSR as constituent republics, unrecognised internationally by most countries. On 22 June 1941 Nazi Germany attacked the USSR and within weeks occupied the Baltic territories. 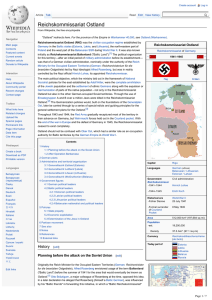 In July 1941, the Baltic territory was incorporated into the Reichskommissariat Ostland of the Third Reich. As a result of the Baltic Offensive of 1944, the Soviet Union recaptured most of the Baltic states and trapped the remaining German forces in the Courland pocket until their formal surrender in May 1945. The Soviet ""annexation occupation"" (Annexionsbesetzung or occupation sui generis) of the Baltic states lasted until August 1991, when the Baltic states regained independence.The Baltic states, the United States and its courts of law, the European Parliament, the European Court of Human Rights and the United Nations Human Rights Council have all stated that these three countries were invaded, occupied and illegally incorporated into the Soviet Union under provisions of the 1939 Molotov–Ribbentrop Pact, first by the Soviet Union, then by Nazi Germany from 1941 to 1944, and again by the Soviet Union from 1944 to 1991. 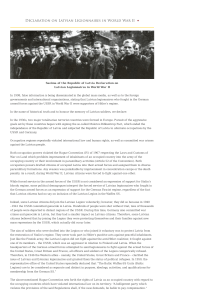 This policy of non-recognition has given rise to the principle of legal continuity, which holds that de jure, or as a matter of law, the Baltic states had remained independent states under illegal occupation throughout the period from 1940 to 1991.In its reassessment of Soviet history that began during perestroika in 1989, the USSR condemned the 1939 secret protocol between Germany and itself. However, the USSR never formally acknowledged its presence in the Baltics as an occupation or that it annexed these states, and considered the Estonian, Latvian and Lithuanian Soviet Socialist Republics as its constituent republics. 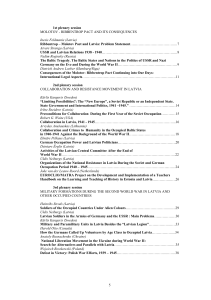 Nationalist-patriotic Russian historiography and school textbooks continue to maintain that the Baltic states voluntarily joined the Soviet Union after their peoples all carried out socialist revolutions independent of Soviet influence. The Russian government and its state officials insist that incorporation of the Baltic states was in accordance with international law and gained de jure recognition by the agreements made in the Yalta and Potsdam conferences and by the Helsinki Accords, whereas the Accords only committed existing frontiers would not be violated. However, Russia agreed to Europe's demand to ""assist persons deported from the occupied Baltic states"" upon joining the Council of Europe. Additionally, when the Russian Soviet Federative Socialist Republic signed a separate treaty with Lithuania in 1991, it acknowledged that the 1940 annexation was a violation of Lithuanian sovereignty and recognised the de jure continuity of the Lithuanian state.Most Western governments maintained that Baltic sovereignty had not been legitimately overridden and thus continued to recognize the Baltic states as sovereign political entities represented by the legations appointed by the pre-1940 Baltic states which functioned in Washington and elsewhere. 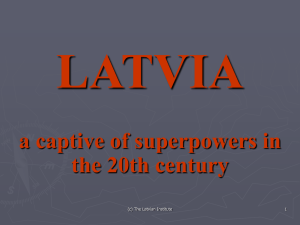 De facto independence was restored to the Baltic states in 1991 during the dissolution of the Soviet Union. Russia started to withdraw its troops from the Baltics (starting from Lithuania) in August 1993. The full withdrawal of troops deployed by Moscow was completed in August 1994. Russia officially ended its military presence in the Baltics in August 1998 by decommissioning the Skrunda-1 radar station in Latvia. The dismantled installations were repatriated to Russia and the site returned to Latvian control, with the last Russian soldier leaving Baltic soil in October 1999.